My Passion is providing businesses and individuals with quality website services to help their business grow. Make a killer first impression with a modern, beautifully designed, mobile-friendly website. 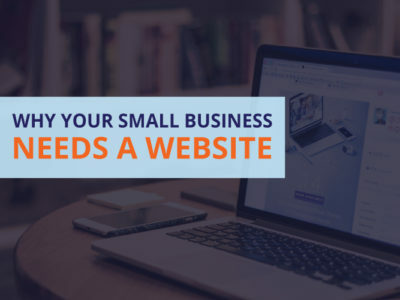 I can help you create a your businesses web presence, working with you to craft a website that accurately represents your unique style and appeal to your customers. Together, we will build your brand. Is your website working for you? Professional SEO services can help your site rank in search engines, and ensure it is found by those that matter, giving you a steady stream of targeted visitors & potential clients. Do you need regular updates or the security of your website monitored? 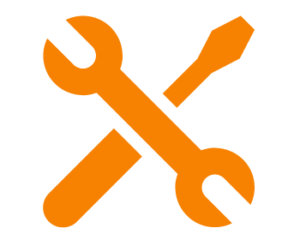 I provide regular web master services that include updates to site content, script and security updates, and monitoring for malicious hacks or content that could severely affect your sites visibility and function. 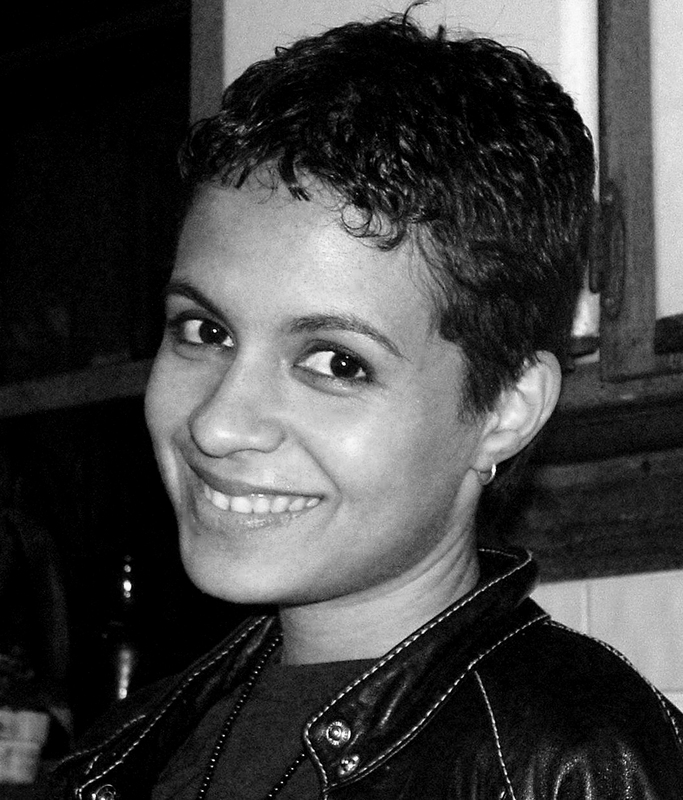 My name is Pandita. I’m a web designer, front-end web developer, and SEO expert. I have 8 years of experience designing and developing beautiful, functional websites for business owners just like you. It might not be modest to say, but the truth is, I build great websites, and my clients really like me. Perhaps it’s because I’m easy going, but more importantly, I actually listen and get that this is about you, and your business goals. As a seasoned digital designer, I operate in that exciting space where design, branding, technology, and marketing intersect to create a complete online presence. I design beautiful websites with the compelling copy; flawlessly programmed; with innovative marketing hooks that drive traffic and convert visitors into customers. If that sounds like something you want for yourself or your business – click below and let’s get started! 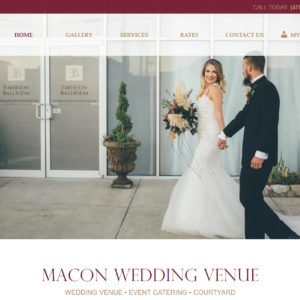 As a newly renovated Wedding Venue in Macon, Georgia, The Emerson Ballroom website was in need of a makeover to accurately represent the beautiful setting. The client requested we bring into play the opulent reds and gold featured in the logo, and create a classicly romantic site that would not feature their packages, services, and bring brides through the door, but also provide a member portal for clients. 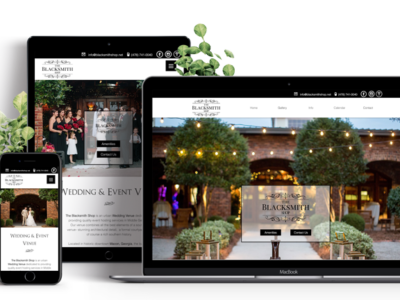 The result was a beautiful, clean design, with built in SEO features, and a members only area for wedding planning and customizing their event. 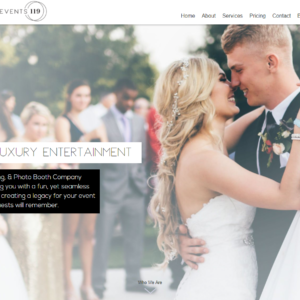 As a luxury wedding dj service, Legacy Events 119 went all out with a full branding redesign and website redesign. They wanted something clean, modern, that gave at a glance information for clients. Together, we came up with a modern, airy design, that walks that fine line where party fun meets elegance. 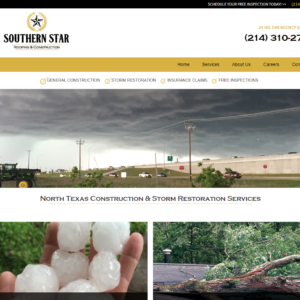 Southern Star Roofing & Construction is a roof repair and construction company in Dallas, Texas. 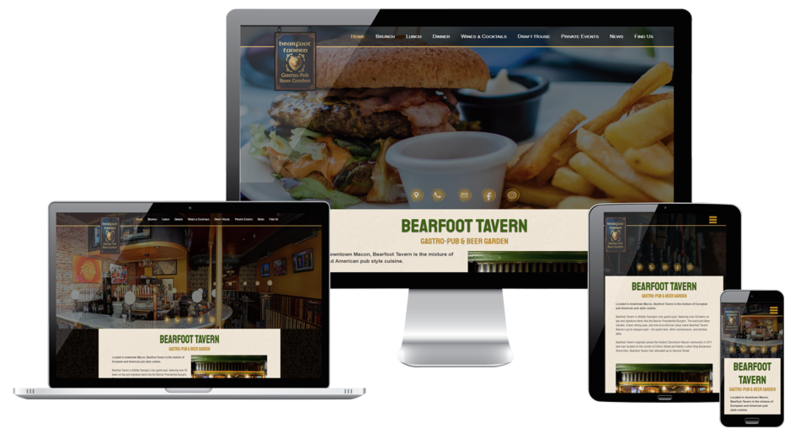 The client wanted a site that accurately reflected their business, and provided a professional online presence for their clients. 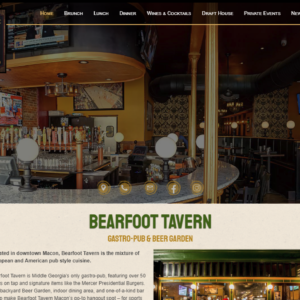 Full website design and development for Bearfoot Tavern in Macon, Ga. Site includes menus and an event calendar. 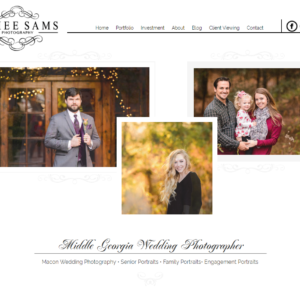 Local photographer Aimee Sams’ vision for her company website included a clean, minimalist theme, and a feminine touch to showcase her work. We used a monochromatic color palette, clean lines, and plenty of white space giving her work the perfect place to really pop. 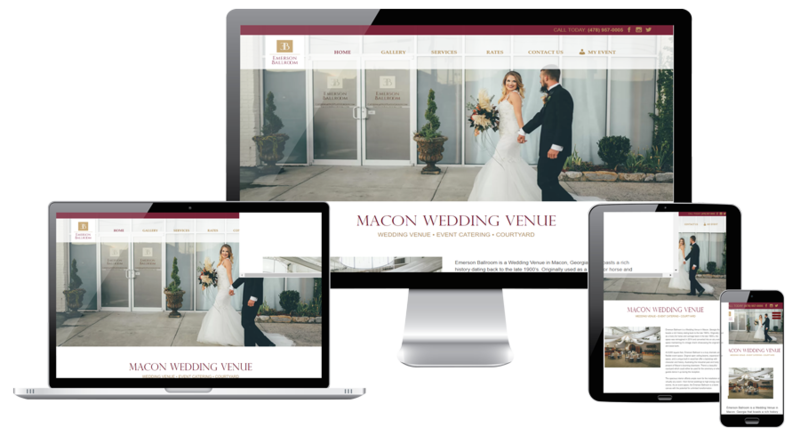 As an event supply company, the website needed to reflect their wide range of services, and a rental shop for the linens and other rental products they offer. The site is fun, informative, and offers rental and payment options for clients. As a wedding florist, Julie wanted her company website to reflect a feminine, girly feel of a true southern wedding. 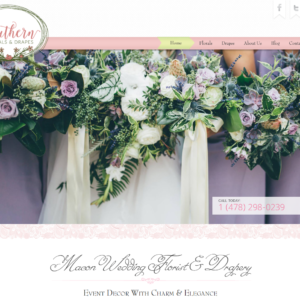 We developed a blush and white lacy theme for Southern Floral’s & Drapes website, with elegant font choices, soft lines, and ample white space for an inviting feel. 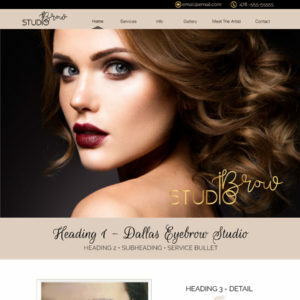 As a brand new microblading studio in Texas, iBrow Studio wanted their website to accurately reflect the chic beauty service they offer. We settled on a blush, black and gold color scheme, accented by clean lines, and elegant font pairings. 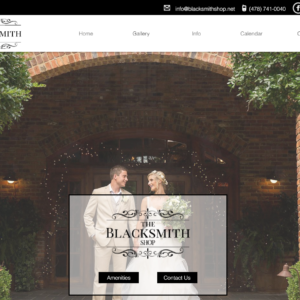 This industrial chic wedding venue needed an upgraded website that effectively reflected it’s unique features. The client wanted to make sure the website reflected the industrial theme, while showing the romantic aspects of the historical venue. 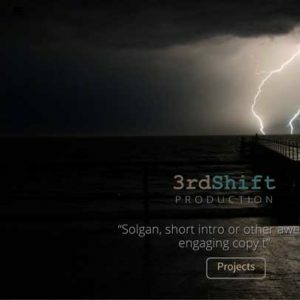 As a budding script writing company, Dave had a clear vision for 3rd Shift Productions website. The site was to be dramatic, cutting edge, and scream all things film. The final design was exactly what the client wanted, innovative, memorable, and what’s more, reflected the company dedication to film. Working closely with the owners of this beautiful venue we were able to complete company branding with everything from company branding, logo design, business cards, brochures and a moble friendly website before it was even open to the public. 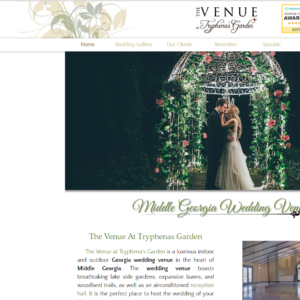 Bruce & Tamara contacted me about a website for their new wedding venue. 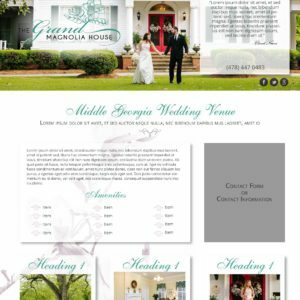 They requested a wedding themed site, featuring magnolias, and accurately representing the southern old world charm of this beautiful, historical home. We also worked on SEO, and local rankings. feel free to drop me me a line and I’d love to get back to you as soon as possible.